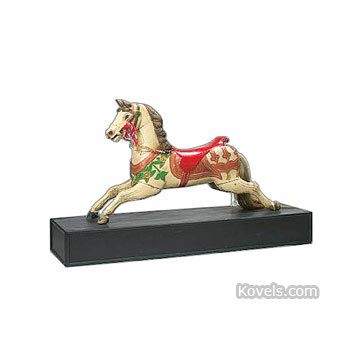 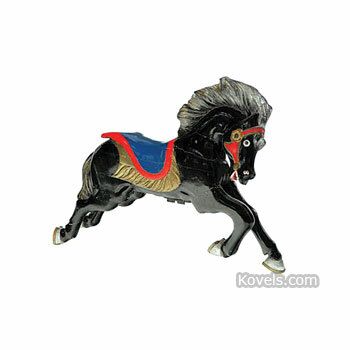 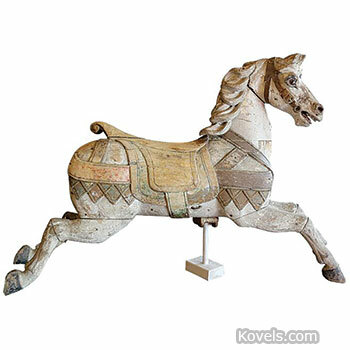 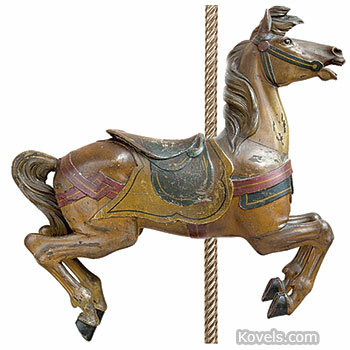 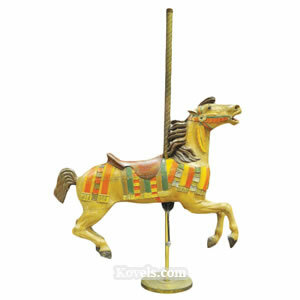 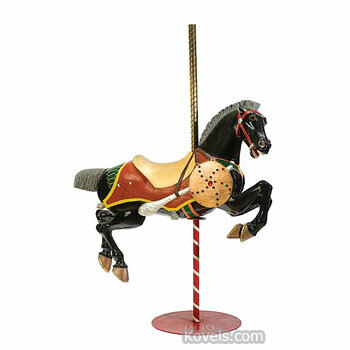 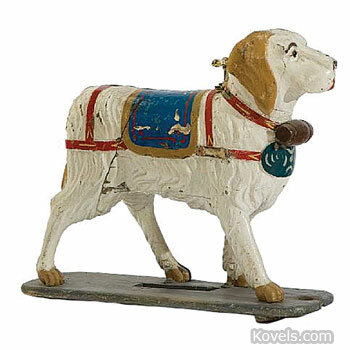 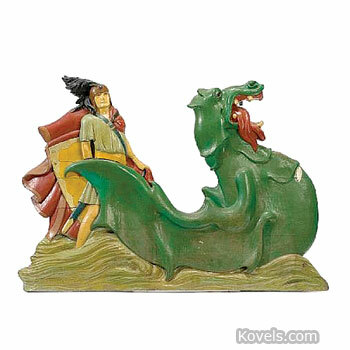 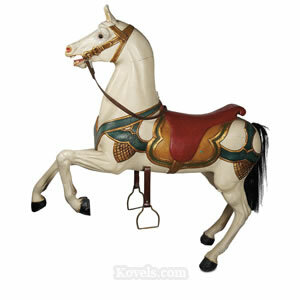 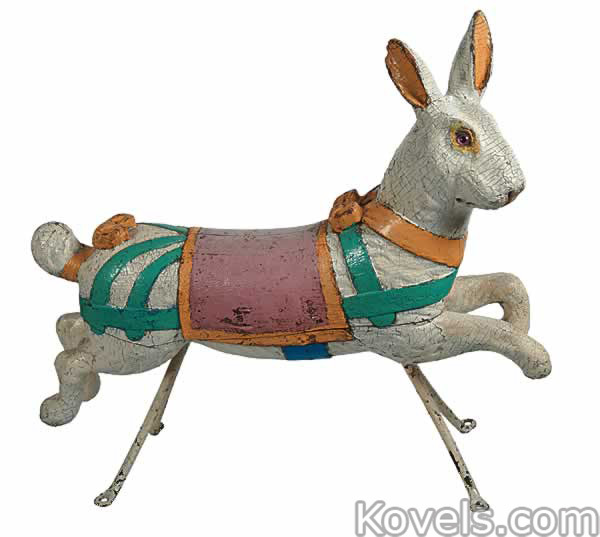 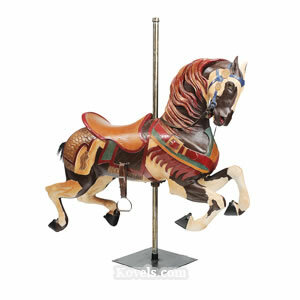 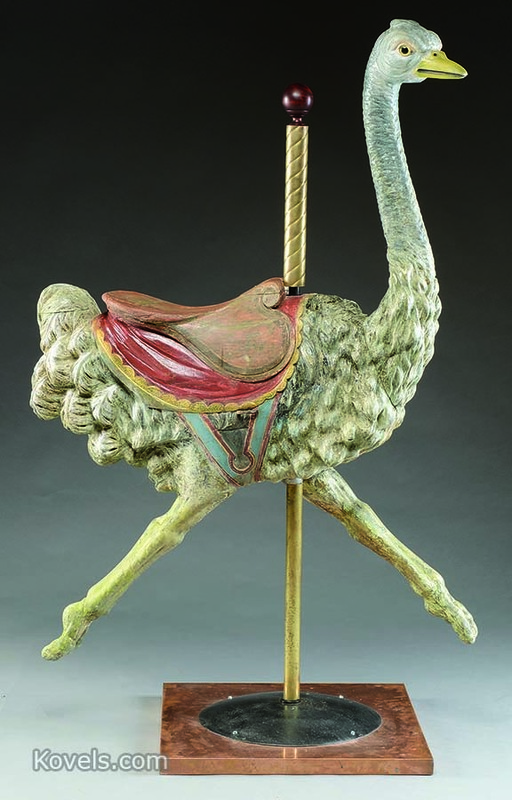 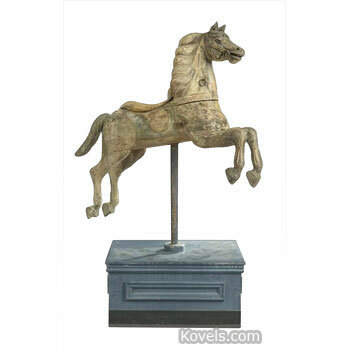 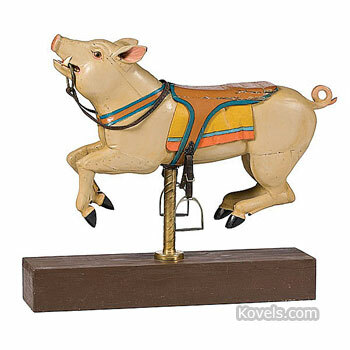 Carousel or merry-go-round figures were first carved in the United States in 1867 by Gustav Dentzel. 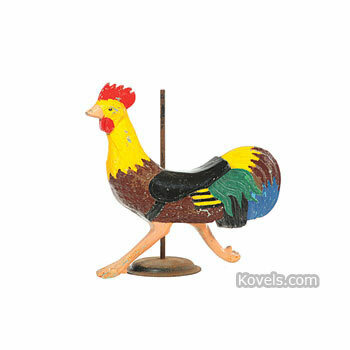 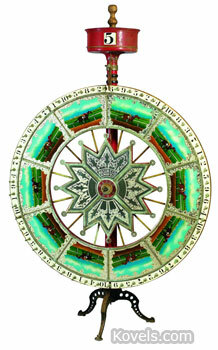 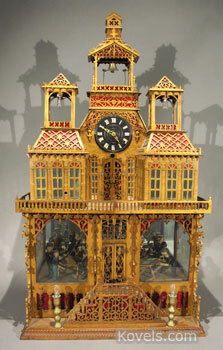 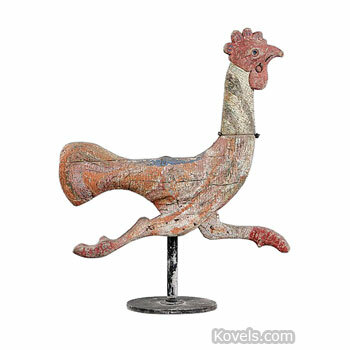 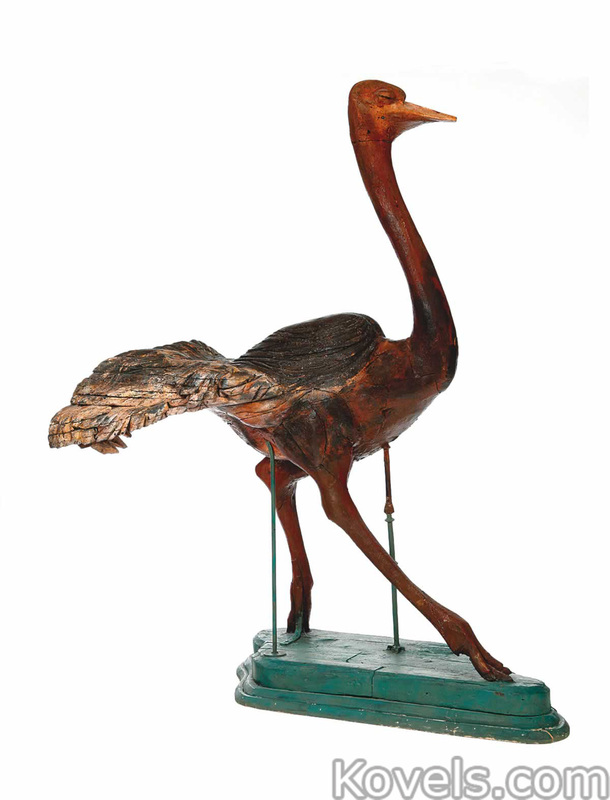 Collectors discovered the charm of the hand-carved figures in the 1970s, and they were soon classed as folk art. 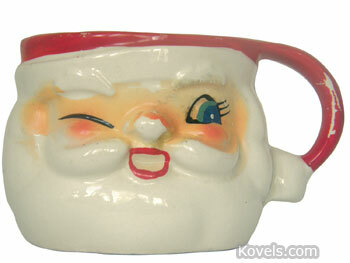 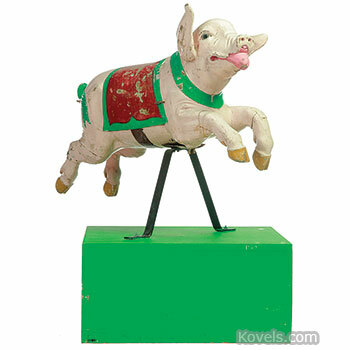 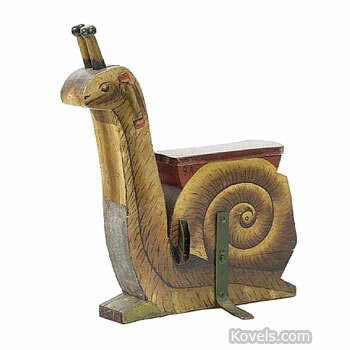 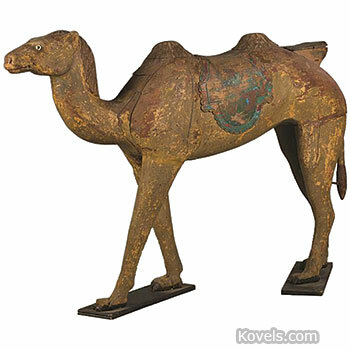 Most desirable are the figures other than horses, such as pigs, camels, lions, or dogs. 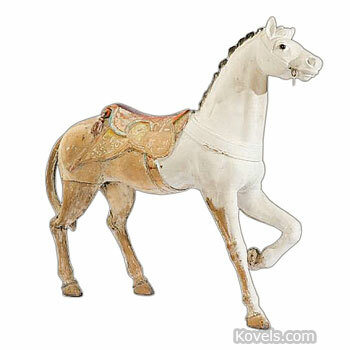 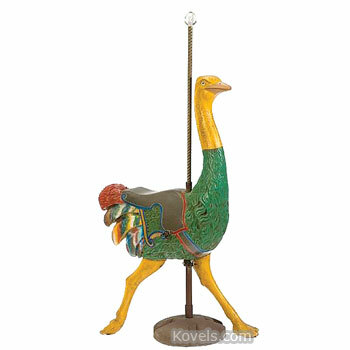 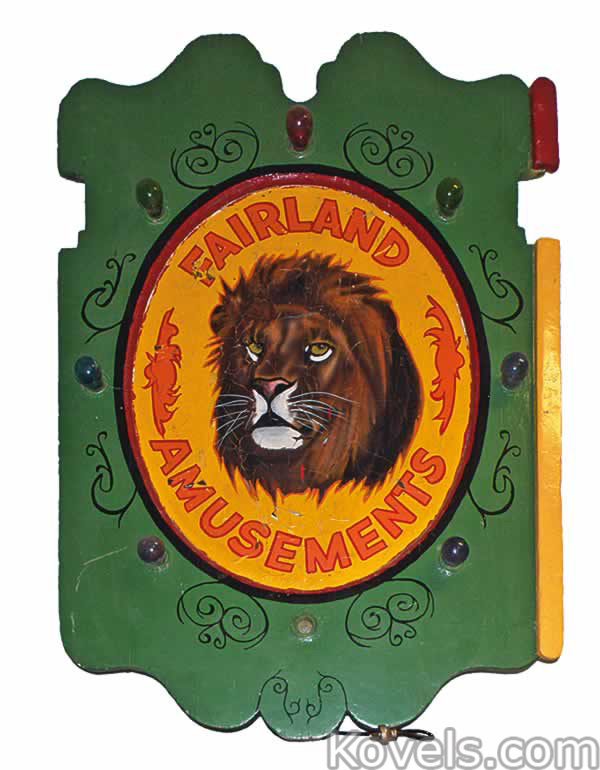 The price of the best carousel animals rose from a few hundred dollars to a few thousand in the 1970s to many thousands by the 2000s. 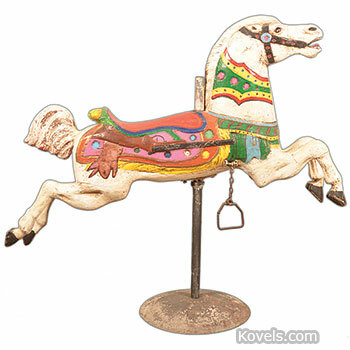 A stander has all four feet on the carousel platform; a prancer has both front feet in the air and both back feet on the platform; a jumper has all four feet in the air and usually moves up and down. 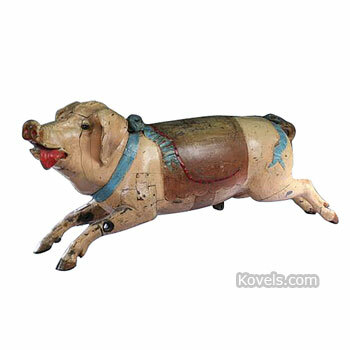 Both old and new animals are collected.